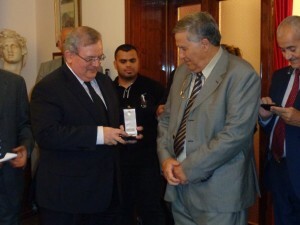 The former Greek ambassador to Libya, Kyriakos Amiridis, has been murdered in Brazil. His body was found in the trunk of a burnt-out car yesterday in Rio de Janeiro. He had been missing since Monday. His Brazilian wife and three others have been arrested, suspected of involvement in his killing. It is being described as a crime of passion. Amiridis was ambassador in Libya between 2012 and 2016, although he left the country in late 2014 when numerous other diplomats did so as well. He was appointed ambassador to Brazil earlier this year.